We all know that when you’re thinking of doing a ski season to qualify as an instructor or to further your existing qualifications there can be almost too many decisions to make. Which resorts are you going to look at? Which company offers the best course for your needs? What accommodation options are available? What is the price of the course? Is there a possibility of part time work while you train, or working after you’ve qualified? In fact, there’s so many different resorts and courses to choose from, so many that sometimes the decision can be a little overwhelming! One of the first questions you will find yourself asking, if only to narrow down your choices, are which resort you want to go to. Choosing a resort is almost as important as choosing your course. It will be your home for the winter season, usually 5 months, and the resort you are in can define the experience you have just as much as your course can. As this time of year can be decision time for many people looking at how they are going to spend their Gap year or career break, or simply for winter addicts out there looking for their next adventure, we thought we’d give you a helping hand and explain why we think Verbier should make it right to the top of your resort shortlist. Luckily almost everyone working in the ski industry, and working a ski season in a resort, has made the same decision at some stage, so we’ve got plenty of first-hand experience of making this decision ourselves! Altitude Futures are based solely in Verbier, quite simply because we love it here, and we think it’s the best resort around. As a result, not only do we know it inside out, which means we have unparalleled knowledge of the terrain, conditions, nightlife and pretty much everything else, but we also want everyone who comes here to love it too! Unfortunately, it’s a sign of the times that this has to be one of the main considerations when choosing resorts nowadays. It is a little disputed fact that winter seasons are starting later and ending earlier, with less guaranteed snowfall than twenty or thirty years ago, and those of us who are a fan of our European winters are going to have to make sure we are making a concerted effort to protect the environment and encourage others to do the same. Luckily, Verbier is high, with Mont Fort, the highest accessible run, topping out at 3330m. The resort itself sits at 1500m, meaning that all but the beginning and last few weeks of the season skiing back to resort is possible, if not pretty great, with some awesome tree runs running through this section. The lift operator Televerbier has snow-cannons covering many of the popular runs for times when snow is thin on the ground, and within the region it is one of the best resorts around for snow, with local people more often than not travelling to Verbier over other resorts. 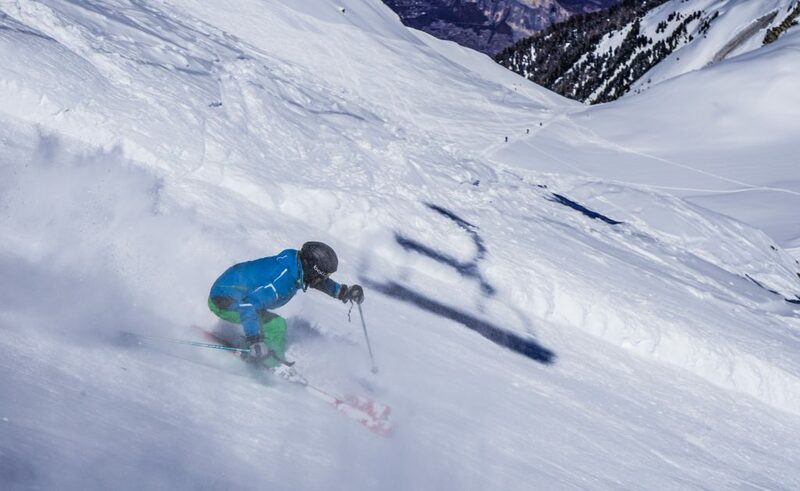 Home to the final of the Freeride World Tour each year, hosted on the infamous Bec de Rosses, Verbier is a mecca for freeride skiers, with one of its mountains, Mont Gele, having a lift solely for the purpose of free-ride skiing. 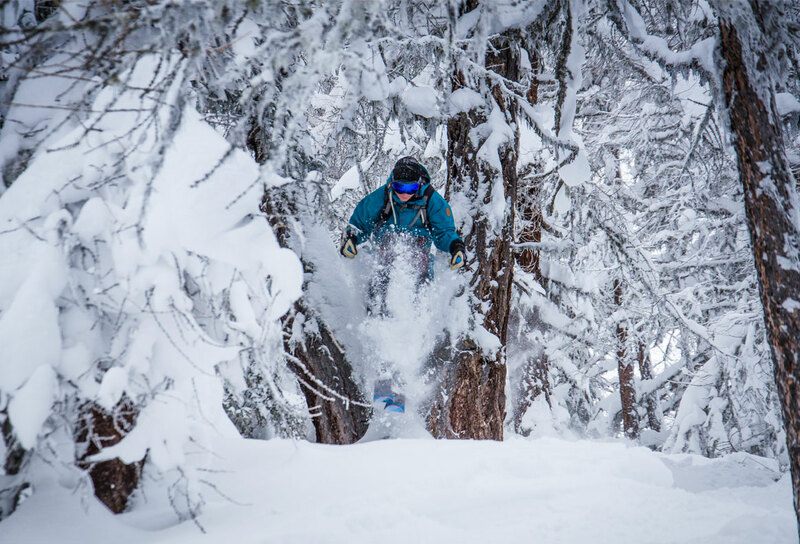 When it snows and conditions are right, the mountain is full of experienced freeriders hiking up to some of the legendary powder runs in the area, such as Rock Garden, Barry’s Bowl, Stairway to Heaven and the Greppon Blanc, to name but a few. There’s also plenty for those just getting into powder skiing for the first time, with gentler areas offering accessible off-piste and itinerary runs which are avalanche controlled but still offer the thrill of a big powder day for those without the mountain experience or avalanche equipment. It’s big, but not too big! A ski resort needs to not be so big that you have to spend hours sitting on a bus to get to the lifts, and so you always see a friendly face on the slopes or for an apres ski beer or two. But you also want it to offer enough terrain that you love skiing there day after day, and year after year, not be left wishing you had more to explore. With over 400km of pistes, Verbier has it all – the friendly ski town feel with a reputation for world-class skiing. One that can be particularly high on the list, the nightlife never really fails to disappoint. From happy hour at the Pub Mont Fort, every ski instructors favourite after-training or work hangout, down to the Farinet Apres Ski for live music until 9pm, which can get pretty rowdy on big nights, the atmosphere is always buzzing. Seasonairre prices in the Pub, Loft and TBar make normal hefty bar tabs similar to UK prices especially for beer and wine, and if you make it through to the early hours there’s still plenty of choice with clubs opening until 4am most nights. And we’re not just talking about Richard Branson, the British Royal Family, Madonna and the whole host of celebrities that love to frequent Verbier, we mean everyone that comes here from tourists to those who came for one season and are still here 10 years later! Verbier isn’t just a ‘one season’ kind of resorts like a lot of places can feel, and you feel at home here whether you’re young or wishing you were a bit younger than you are! If you want to chat to any of our team regarding your decision to choose Verbier and Altitude Futures then let us know! We’re happy to share our experiences and help you make the best decision for you.